Assessing children as young as 4 years of age gives each child the opportunity to get on the path to reach their full reading potential. The Early Literacy Screening app, being developed by the Innovation & Digital Health Accelerator at Boston Children's Hospital, in partnership with Dr. Nadine Gaab, will be presented in a fun, interactive way to keep children engaged for the duration of the 20-minute screening. Once the screener is complete, the app will produce an individual risk profile for each of the six pre-literacy assessments that measures the child’s early literacy milestones. Links to evidence-based responses that offer teaching solutions and intervention programs (e.g. curriculum, lesson plans, videos, professional development ) will be provided to help teachers, parents and other professionals in the child’s life address the needs of those deemed at-risk. 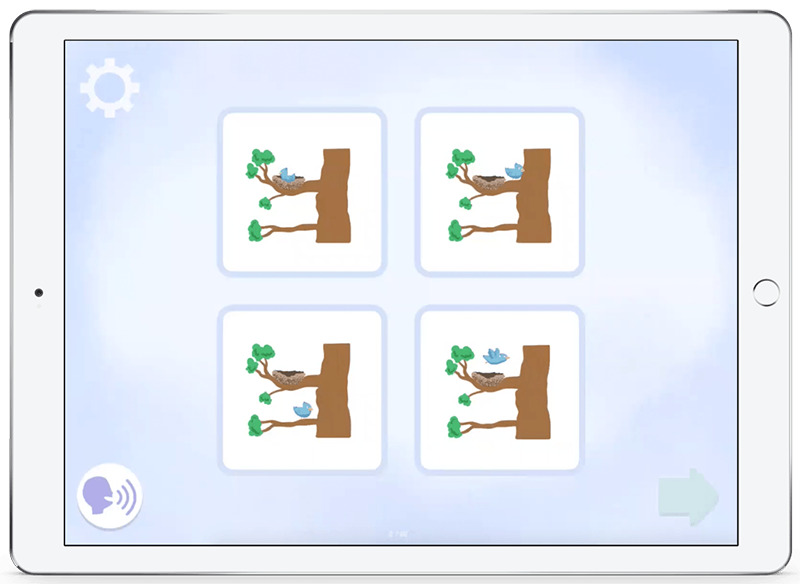 The pre-literacy assessments included in the app were selected based on previous longitudinal research studies in Dr. Nadine Gaab’s lab, and around the world, that examined early predictors of reading disabilities. Comprehensively screening for six early indicators of literacy challenges, including developmental dyslexia. The screener is self-administered, gamified, and engaging, with a dashboard accessible by teachers, parents, pediatricians or other clinical professionals. This paradox is detrimental to the well-being of children and their families who experience the psychosocial implications of reading disabilities for years prior to diagnosis. Targeted interventions are most effective when administered in kindergarten and first grade, despite reading disabilities typically only being diagnosed when a child repeatedly fails to read from Kindergarten to later grades. Research around the world has identified several early literacy components that predict future reading outcome, allowing for earlier identification. The IDHA at Boston Children’s Hospital is shaping the future of health care. The goal of the IDHA is to develop and accelerate digital health offerings that extend the access, reach and scale of Boston Children’s clinical expertise to improve the health of children worldwide. We’re utilizing our expertise and capabilities as the #1 pediatric research hospital in the world to collaborate with industry partners to build and launch commercially successful products, platforms and ventures. The two main focus areas of IDHA include creating and executing Boston Children’s digital health strategy and accelerating innovations from industry and within the hospital through our Innovation Accelerator. The IDHA team is made up of over 70 individuals who specialize in mobile apps, web development, front-end development and business planning – the full mechanism for sourcing, vetting, resourcing, building, piloting and commercializing innovations in collaboration with others across the enterprise. Dr. Nadine Gaab is an Associate Professor of Pediatrics at Boston Children’s Hospital, Harvard Medical School and a member of the faculty at the Harvard Graduate School of Education. Her research within the Laboratories of Cognitive Neuroscience focuses on the brain correlates of reading development in typical and atypical children as well as possible pre-markers of developmental dyslexia in preschoolers and infants. Dr. Gaab is a recipient of the T. Berry Brazelton Award for Innovation at Boston Children’s Hospital, is a member of the Board of the Landmark School, scientific advisory board member of The Dyslexia Foundation and a founder of the New England research on Dyslexia Society (NERDY). In 2018, Dr. Gaab was presented with the Allan C. Crocker award for her advocacy on behalf of children with dyslexia and reading disabilities and efforts around the recent passage of the Massachusetts screening legislation. She has also been recognized by the International Dyslexia Association (Massachusetts chapter) in her receipt of the Alice H. Garside Award for outstanding leadership in advancing the science of dyslexia. She is the recipient of various federal and private foundation grants and a permanent member of the NICHD study section “Language and Communication’ and has published numerous peer-reviewed papers on reading and dyslexia in scientific journals such as Nature Neuroscience, the Proceedings of the National Academy of Sciences Developmental Science and the Annals of Dyslexia. She is further a frequent speaker in the community and teaches workshops for parents, teachers and other professionals on dyslexia and reading development and is a consultant for various school districts nationwide. We look forward to hearing from potential investors and those seeking more information about the Early Literacy Screener! National Center for Education Statistics (2017). The Nation’s Report Card: A First Look: 2017 Mathematics and Reading. Valas, H. (1999). Students with learning disabilities and low-achieving students: Peer acceptance, loneliness, self-esteem, and depression. Social psychology of education, 3(3), 173-192. Mallett, Christopher A., “Disparate Juvenile Court Outcomes for Disabled Delinquent Youth: A Social Work Call to Action” (2009). Social Work Faculty Publications. Cortiella, C., & Horowitz, S. H. (2014). The state of learning disabilities: Facts, trends and emerging issues. New York: National Center for Learning Disabilities, 2-45. © 2018 Boston Children's Hospital. All rights reserved.